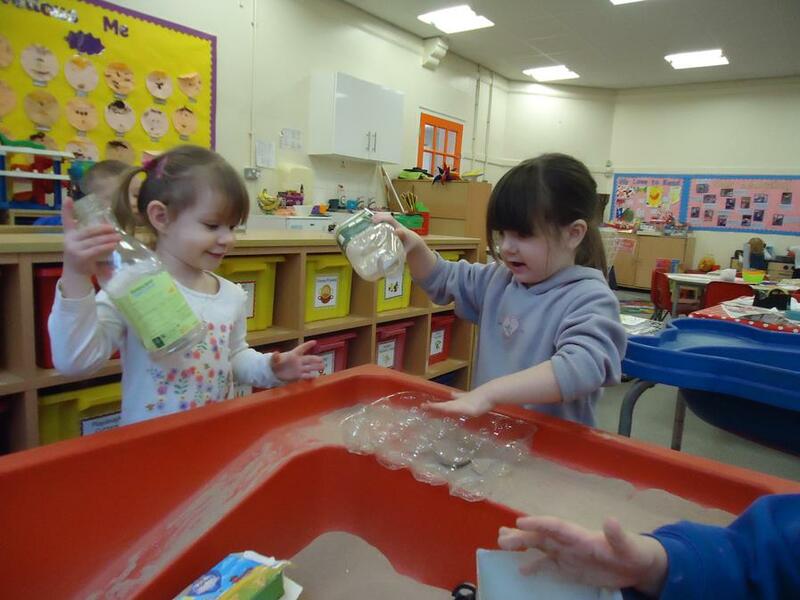 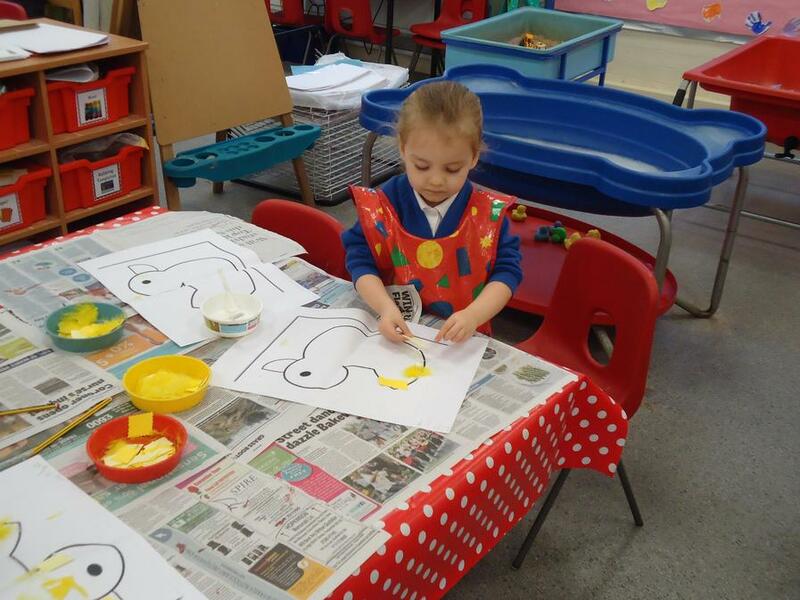 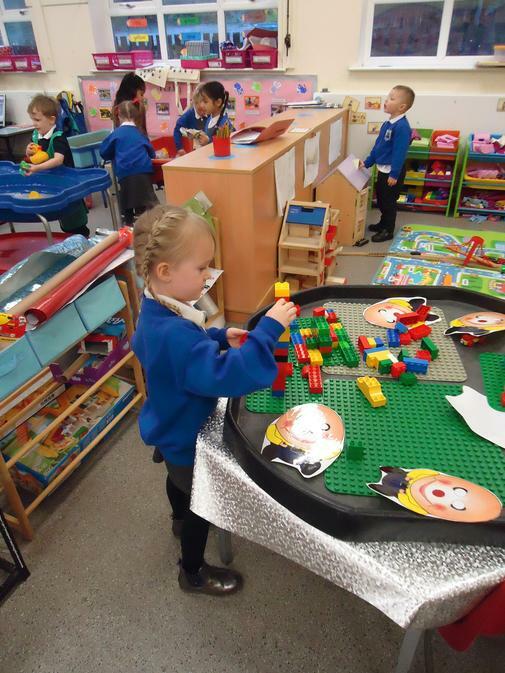 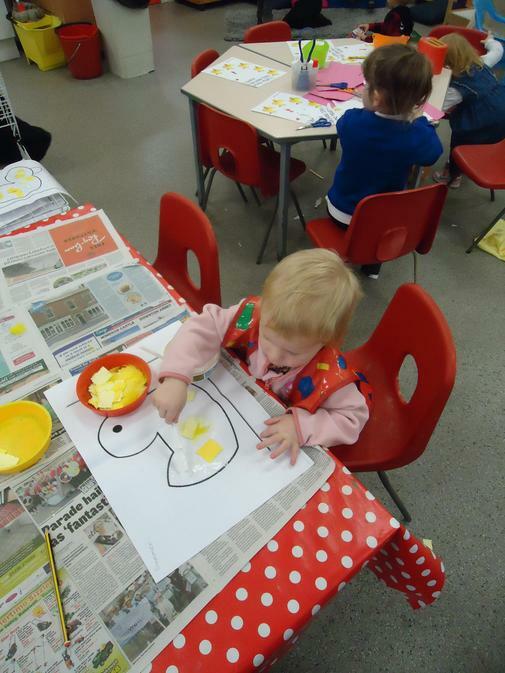 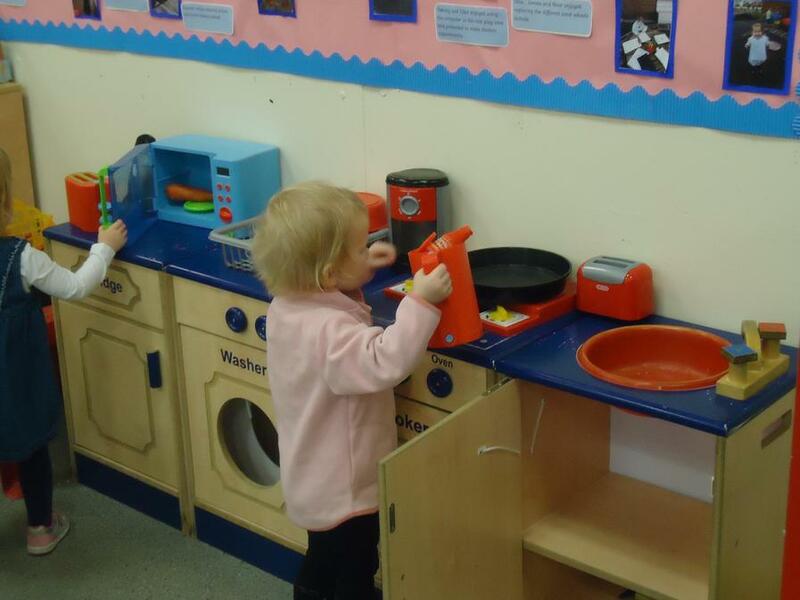 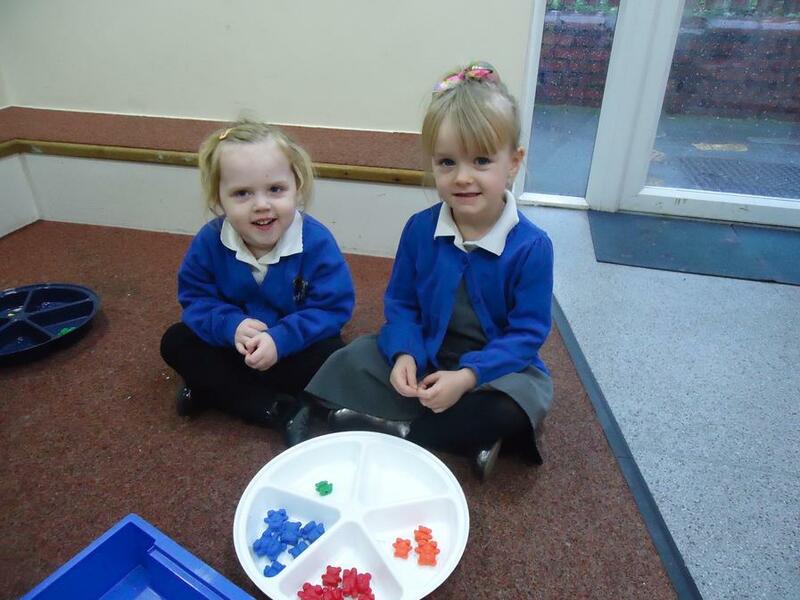 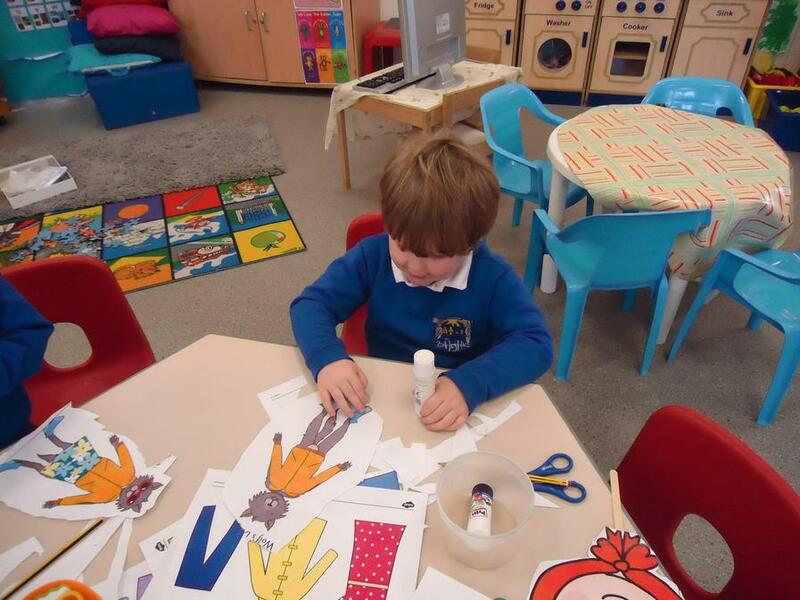 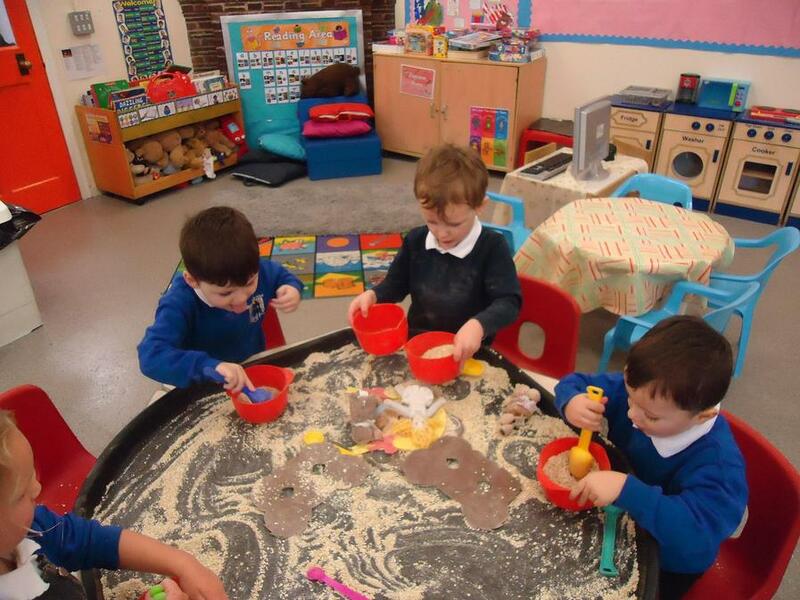 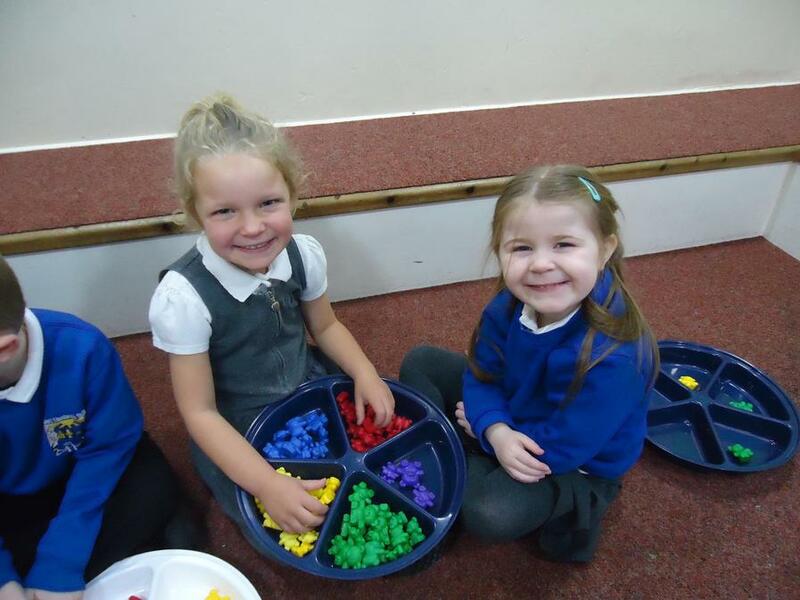 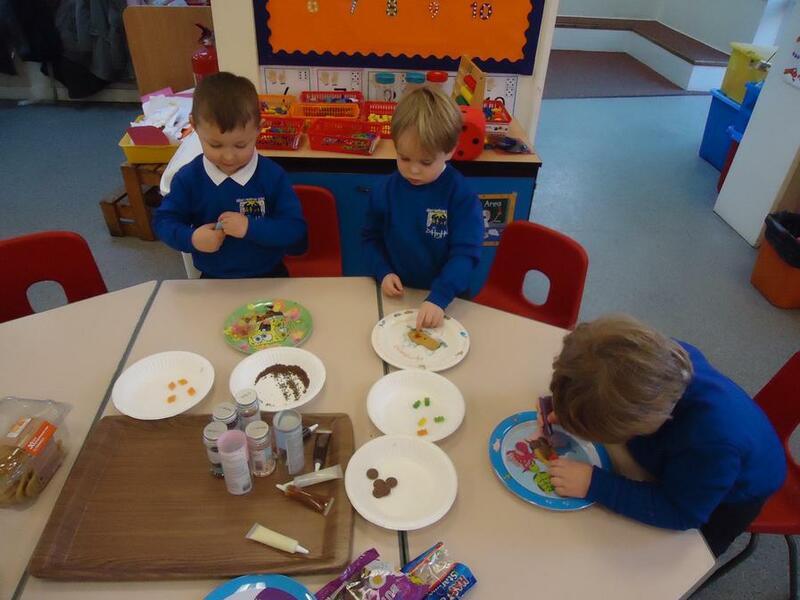 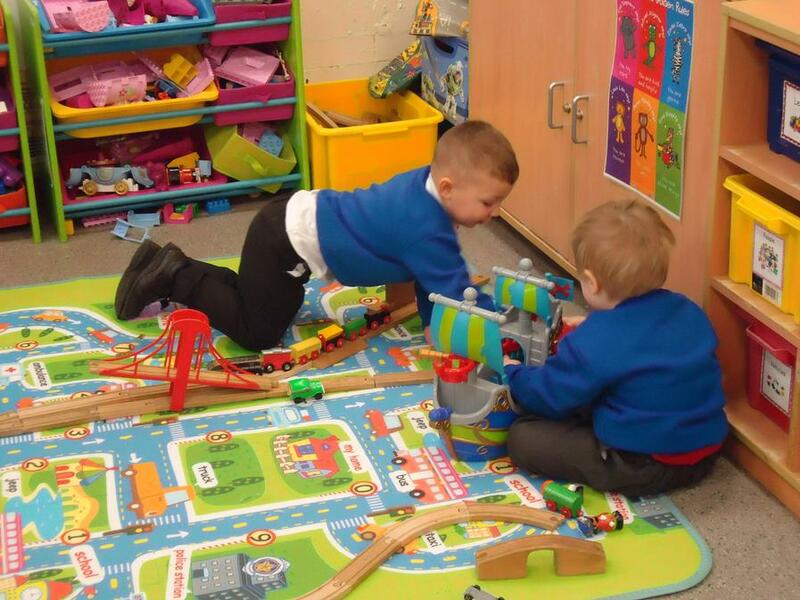 It has been another busy half term in Nursery. 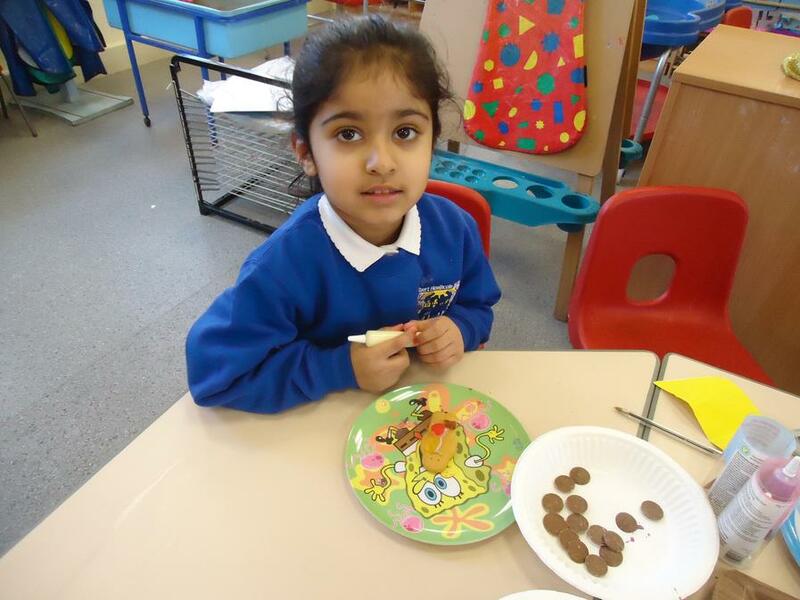 We have really enjoyed learning about a range of Traditional Tales over the last few weeks. 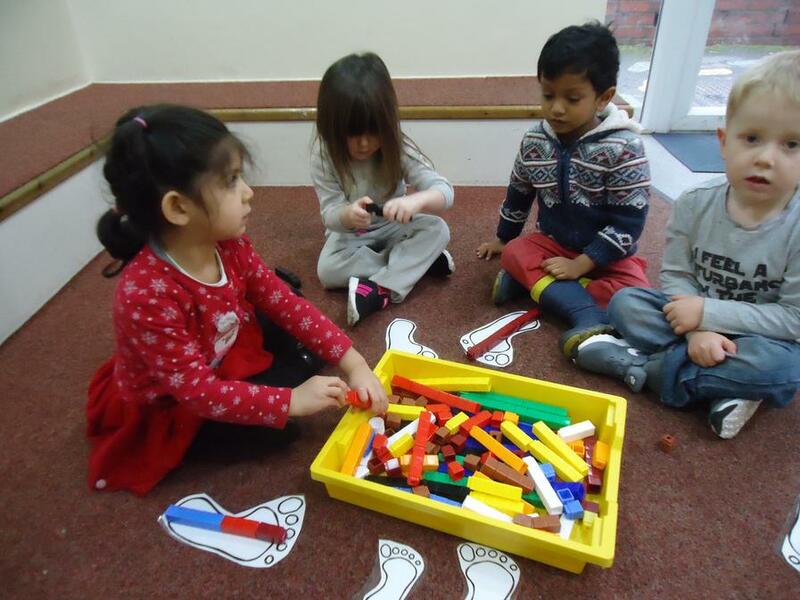 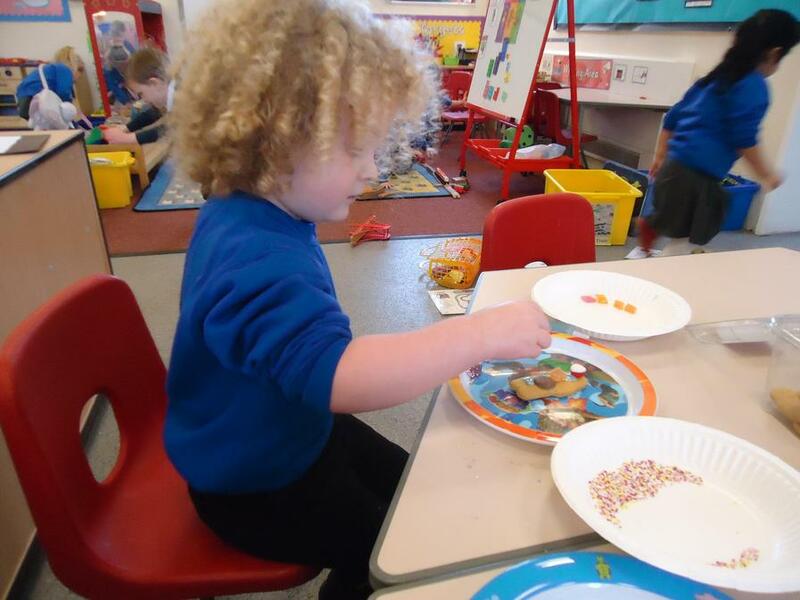 We have been measuring the giant's footprints and making porridge for the Three Bears. 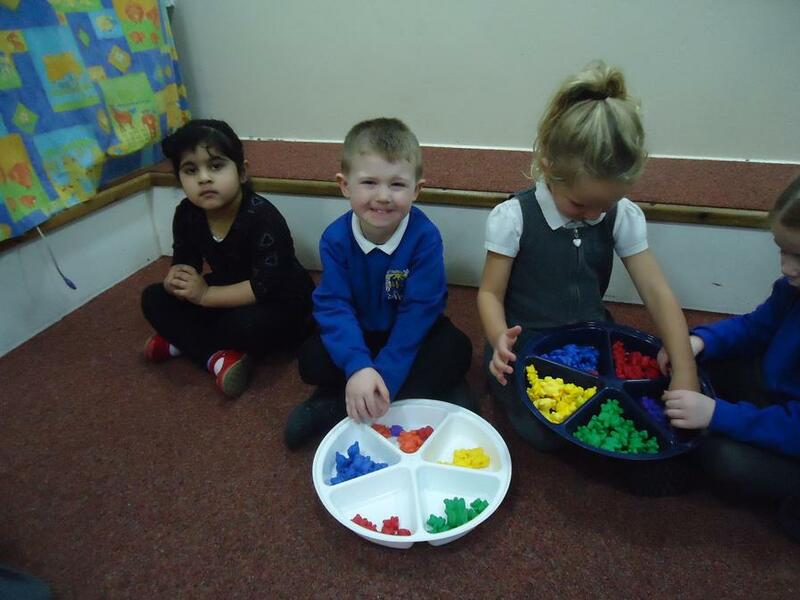 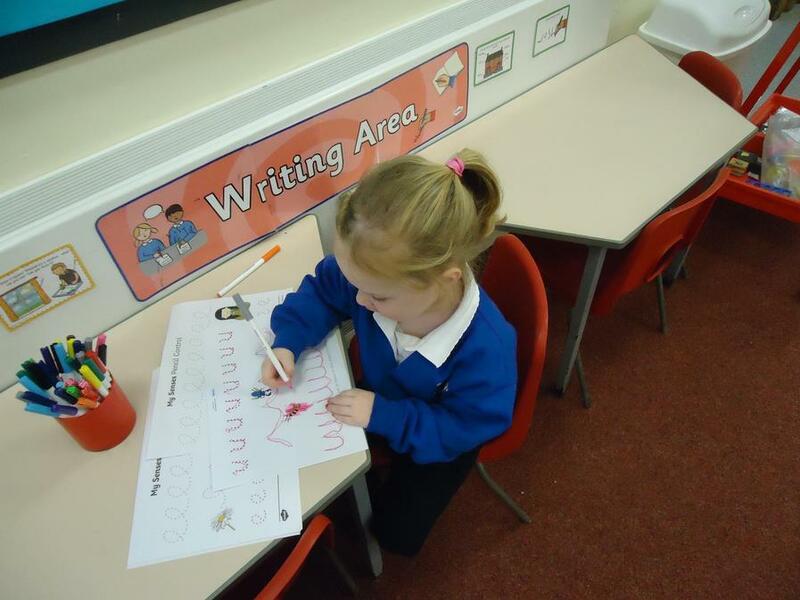 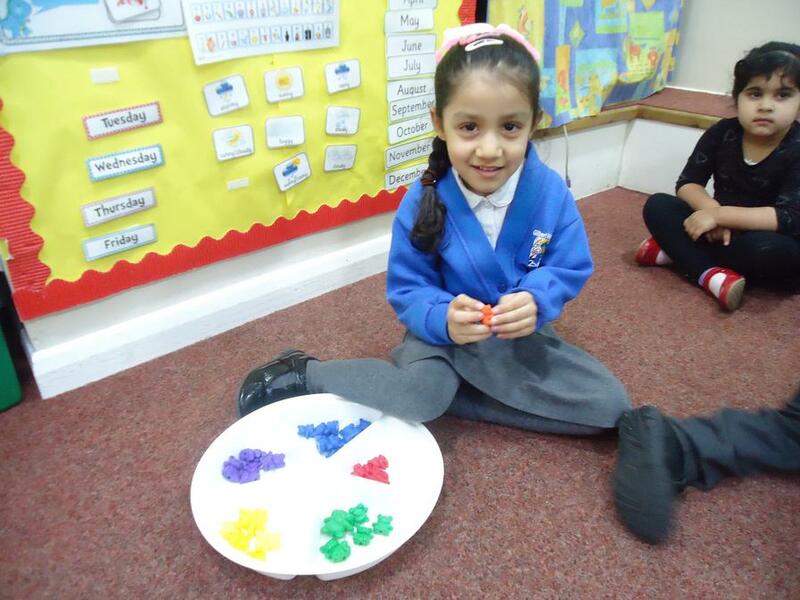 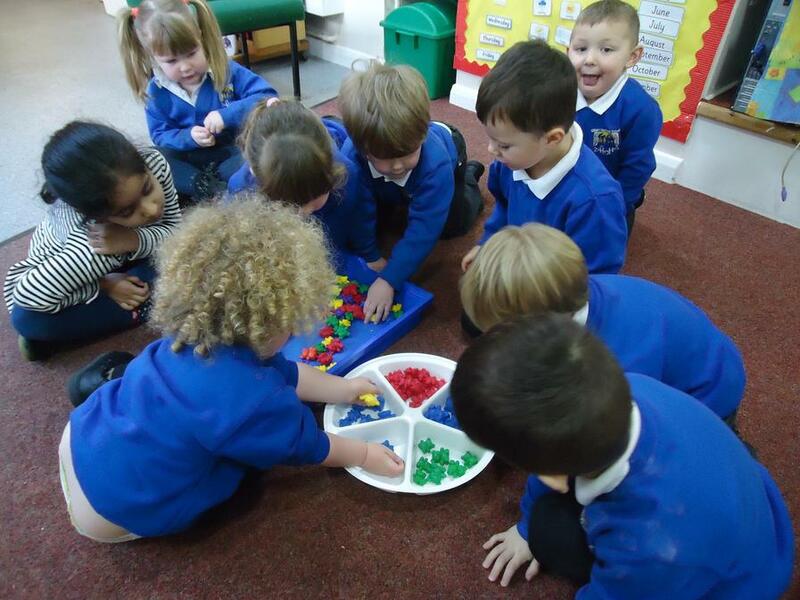 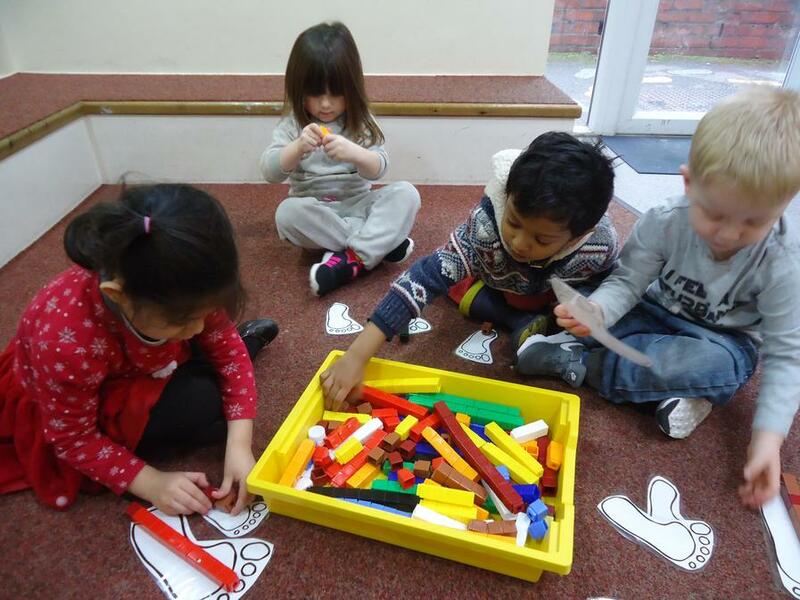 We have been developing key skills including pencil control and sorting out bears according to their own criteria. 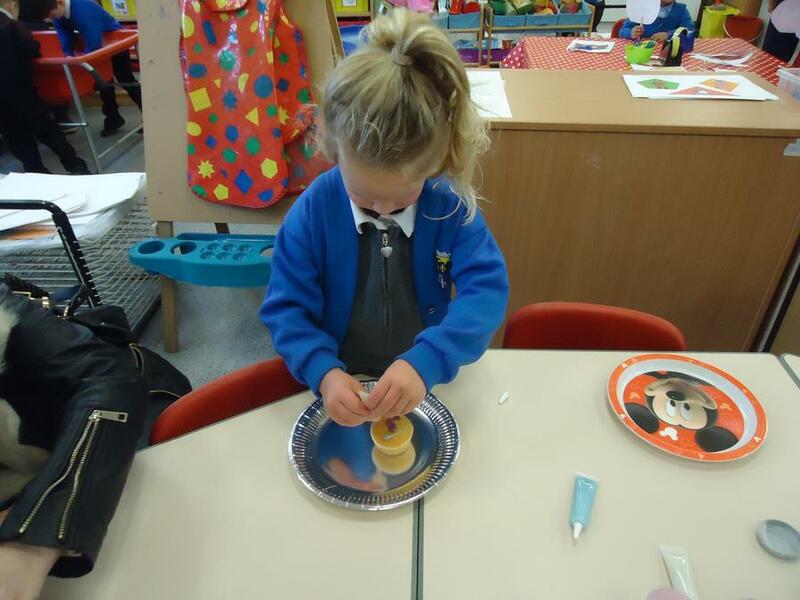 We had fun hunting for the Gingerbread Man and decorating him. 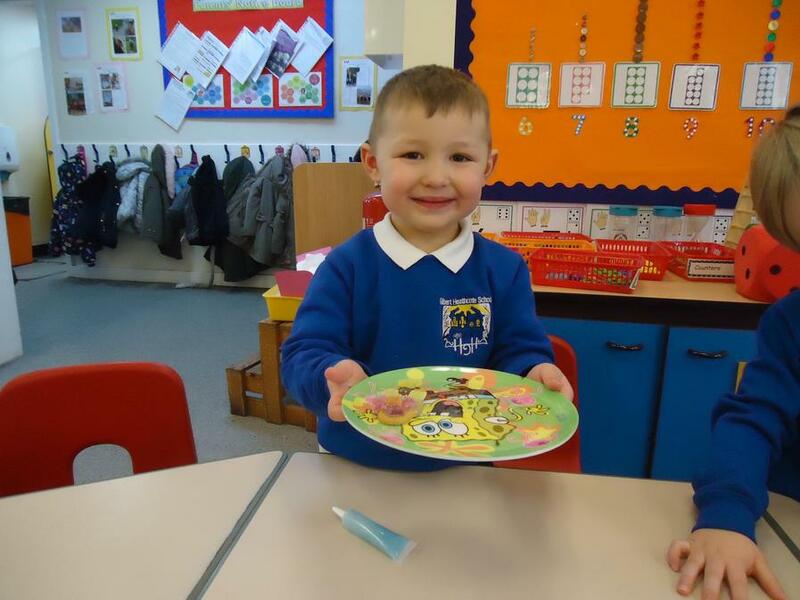 We were even allowed to eat him after! 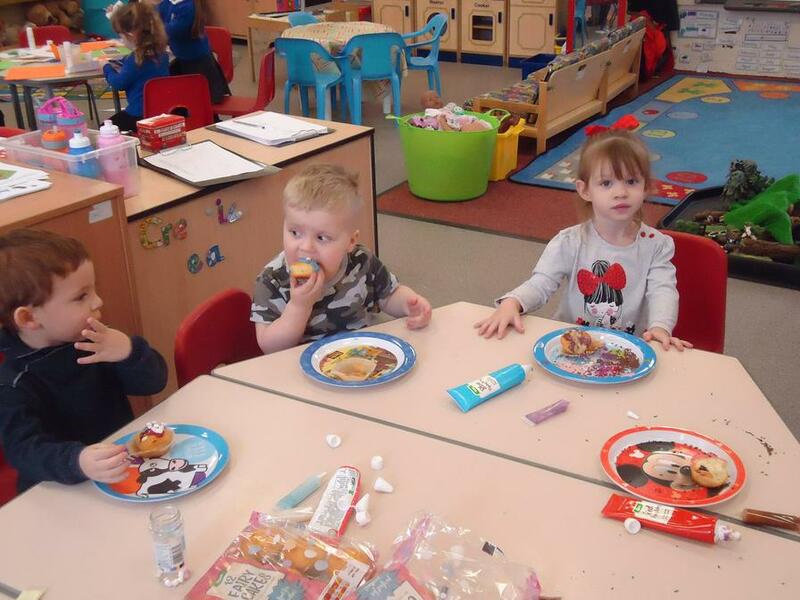 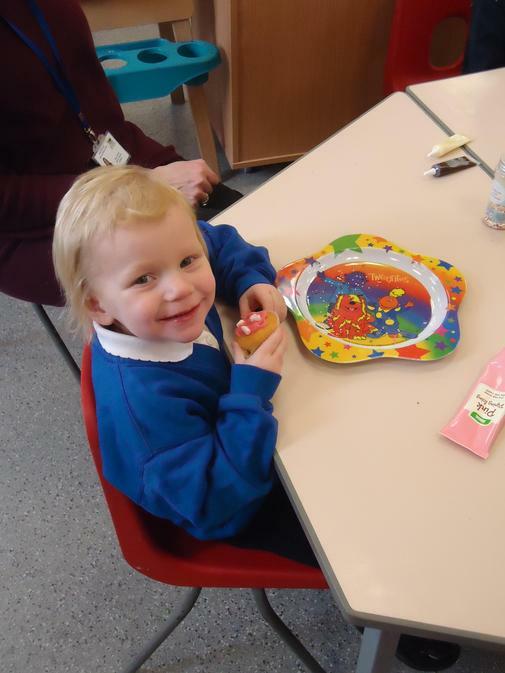 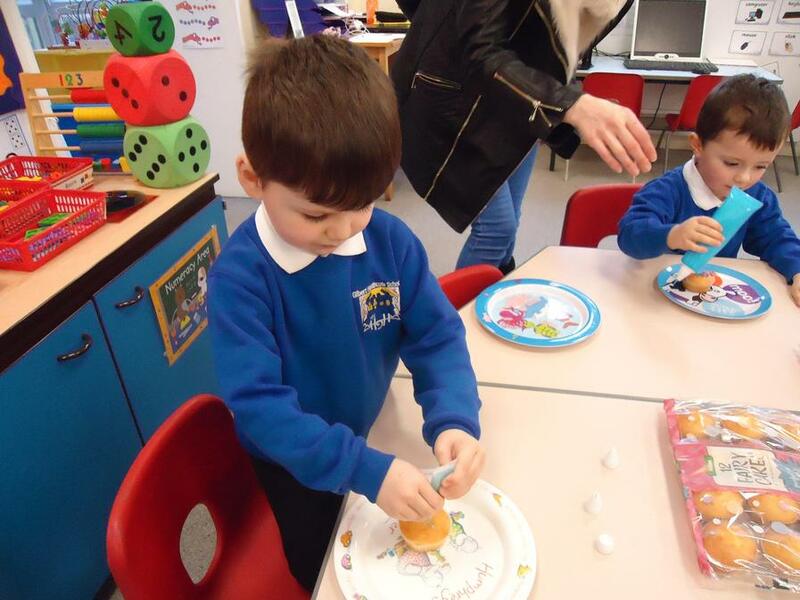 We loved our recent BATS day where our grown ups helped us to make and decorate some cakes for Red Riding Hood's Grandma to make her feel better. 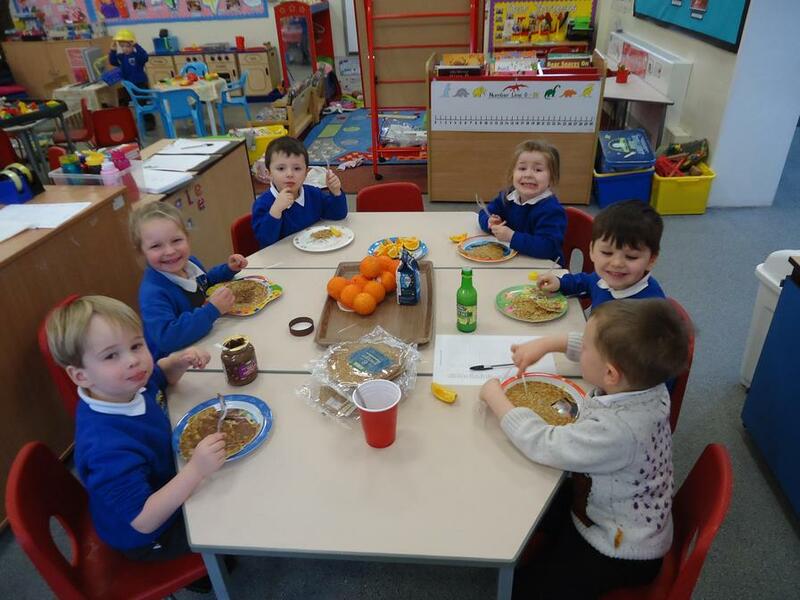 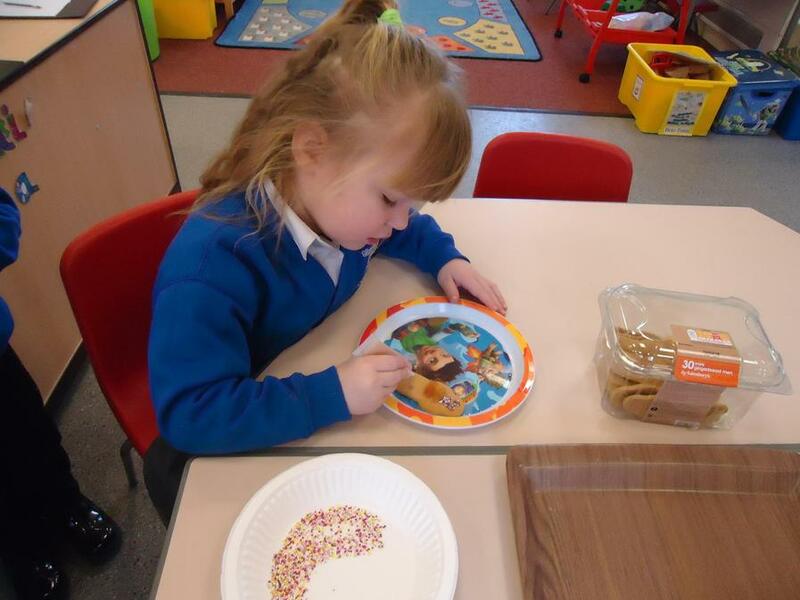 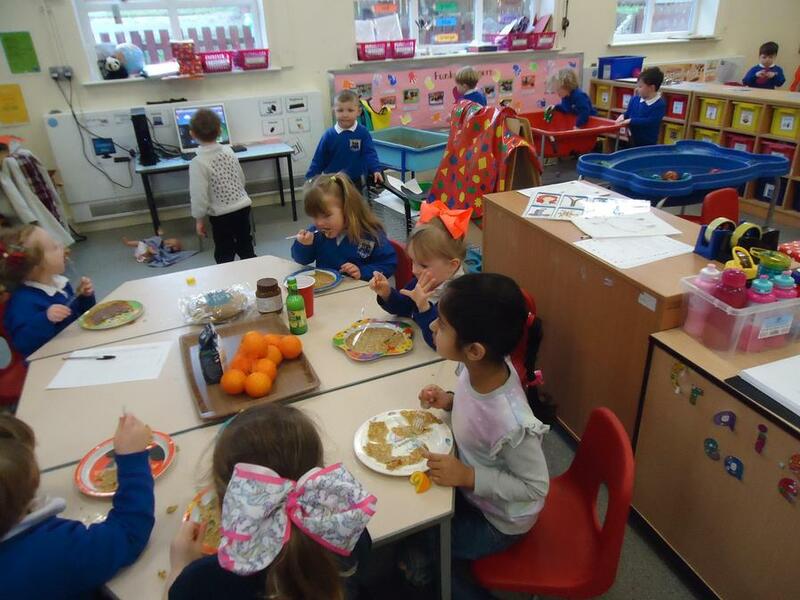 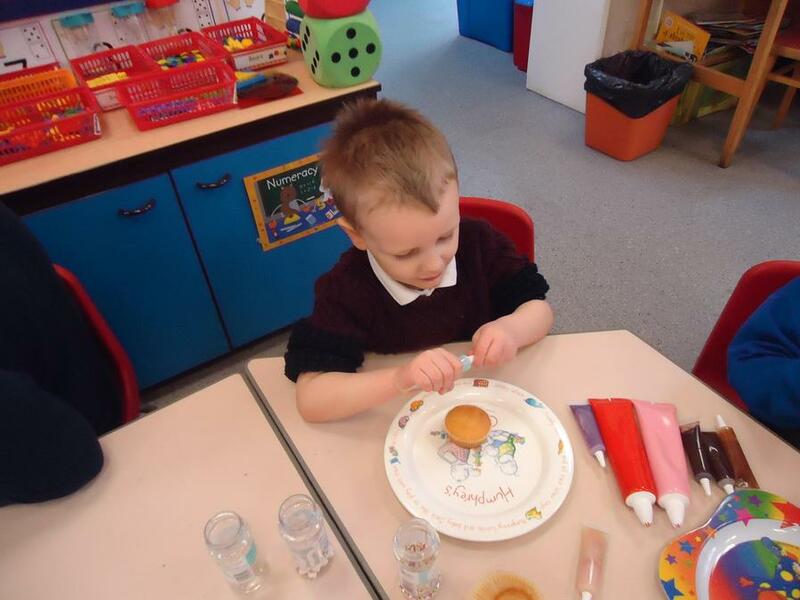 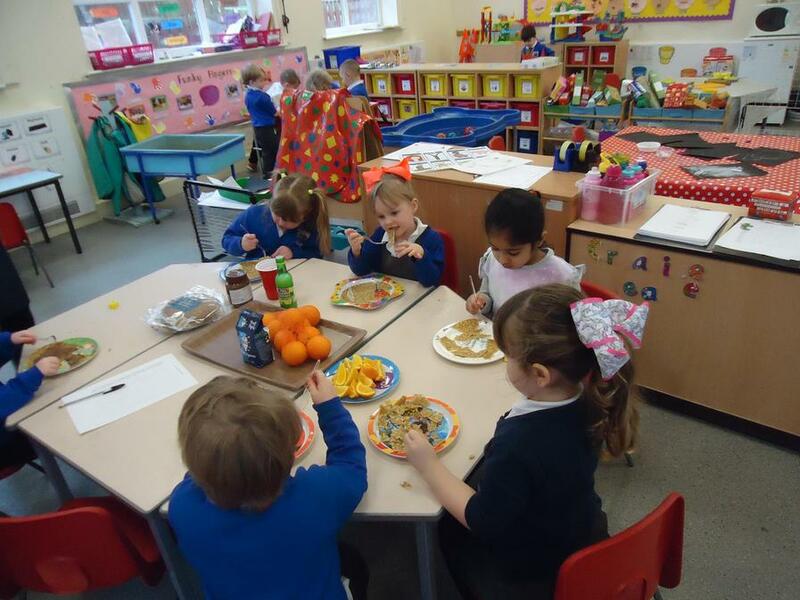 To complete another exciting half term we celebrated Pancake Day and enjoyed creating different toppings which we loved eating!